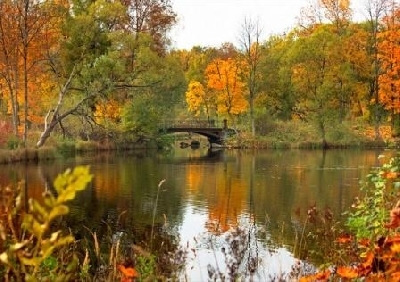 Alexander Park is one of the five parks in Pushkin; a total area is about 200 hectares. 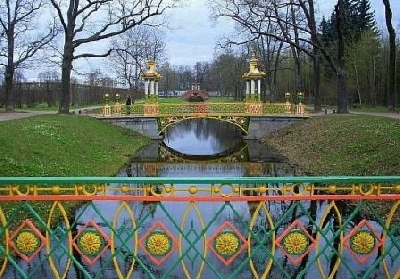 The park adjoins the Catherine Palace from the main entrance. Alexander Park is divided into the new park and the landscaped garden. 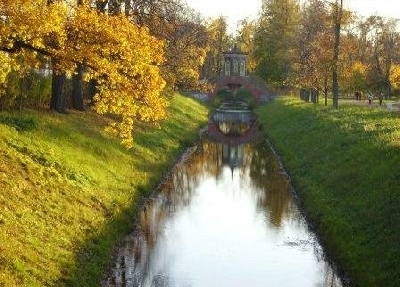 The New garden was laid out in 1740 under the guidance of K. Shreydera and M. Kondakova. On the territory of the New Garden it is a large Chinese bridge, which is made of pink granite parapet, decorated as a large stone vase with trailing branches of red coral (forged from iron); curtain "Mushroom" is a large group of several dozen trees and shrubs of the same breed, the mountain "Parnassus" is an artificial mound, to which top the twisting road, planted by trees, leads; Chinese Theater, Dragon Bridge, Cross bridge, the Big and Little caprice - artificially made banks with arched spans over the road; the Chinese village. 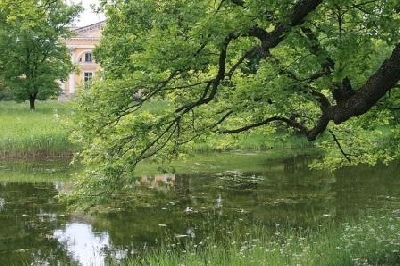 The Landscape Park was originally a part of the natural forest, which was attached to the palace; it was fenced and had a menagerie, where there were wild animals for the royal hunt. 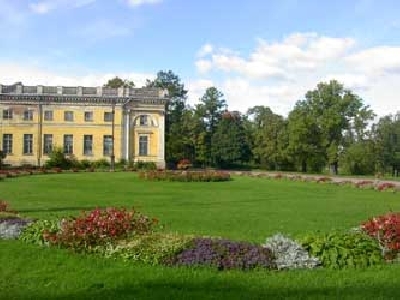 Today on the Landscape Park territory the White Tower is located, this pavilion was inspired by the image of a medieval knight's castle, Pavilion "Chapelle", Pavilion "Arsenal", the Farm Complex, Ratna Chamber, Islamic Pavilion, Children's lodge, Krasnoselskie Gates, Guardhouse Elevaya.